Favorite Sports Memory: My favourite memory was from the 2011-2012 season where I finished 1st overall in Youth, which is the 16 and under category. How you got involved in your sport: Ever since I can remember I liked to go fast. As a young tot, my mother would take my brother and I tobogganing at the hill near our house. This quickly became an obsession for speed, which naturally progressed into skiing. 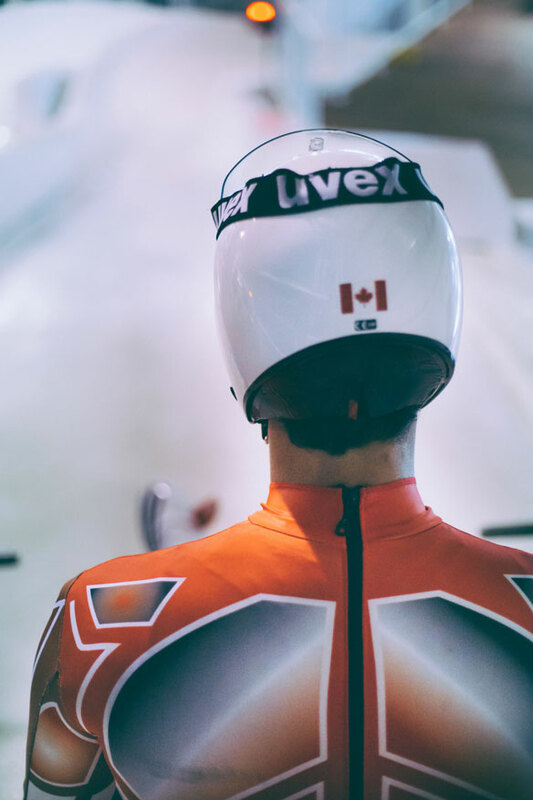 Following the 2006 Olympics, luge had generated a small degree of buzz around it that managed to catch the attention of a young John Fennell. During the summer of 2006 I went to one of the recruitment camps that Canadian Luge Association puts on. 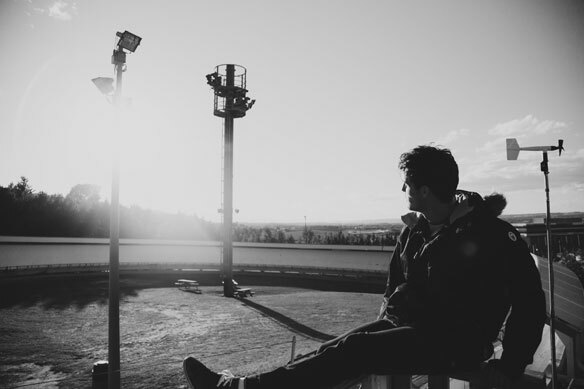 We had the chance to try a few starts in the Ice House at Canada Olympic Park and evidently it was enough to hook me. 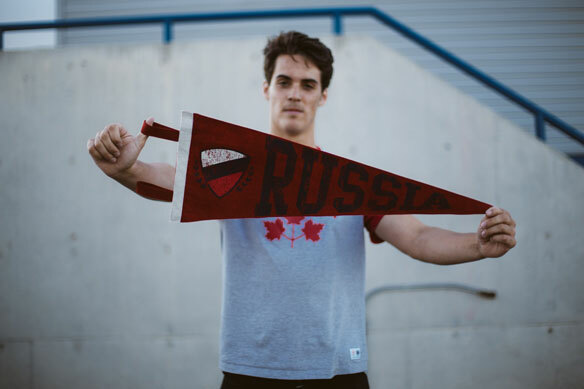 The moment you knew you wanted to represent Canada: In my career there were two distinct events that solidified my presence in the sport; the first of which being the 2010 Winter Olympic Games in Vancouver. Despite the fact that the whole experience was shrouded in tragedy, tragedy that would make me evaluate my continuance in sliding, I still had never felt that amount of pride watching our athletes walk into the Opening Ceremonies. Even reflecting on that memory sends shivers up my spine. I tried to picture myself as one of those athletes wearing our country’s colours. Seeing that set the wheels in motion for me to dream big- to become one of “those athletes”. The second important event was my attendance at the first ever Winter Youth Olympic Games in Innsbruck, Austria in January 2012. The significance of this was it shortly followed my most serious crash in the sport. In January 2011 I broke my ankle in multiple places. 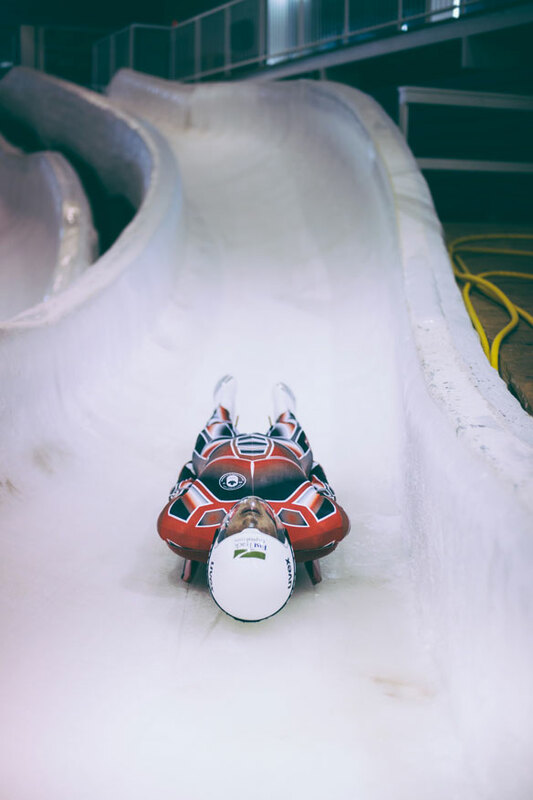 Following surgery, I was unable to get back on the sled that season and was faced with the weighty decision of how to proceed. That, in conjunction with the derailing accident in 2010, really put my Olympic dreams to the test. All of that, however, was put to rest with the conversation I had with my coach Robert Fegg at our yearend reviews about the Youth Olympics. I was told that I had a significant chance at attending them and that I needed to get back on the sled to do so. The following season I finished 1st overall in Youth and I left to the Youth Olympics ranked 1st. Walking out in the Opening Ceremonies of the WYOG gave me a magnified spine-tingling feeling, the same one I had felt watching the athletes in Vancouver. Except this one didn’t go away. That feeling didn’t vanish after I had left the stadium; it followed me for the entire duration of the YOG. But watching them carry that pristine white Olympic flag I knew that this was exactly where I need to be. This was exactly what I needed to be doing. I had that rare moment that validated every dream that I once had of making that maple leaf rise on the podium. CAN Fund Testimonial: CAN Fund is easily the most responsive and attentive organization that I have ever worked with in terms of sport. They provide an essential service in a timely, professional, and helpful manor. I was taken aback with the encouraging response that I received from CAN Fund. As an up-and-coming athlete in Canada, it is programs like this one that make me proud to be part of such a supportive network of people. I will be proud to wear my CAN Fund decal during the season leading up to the Games. 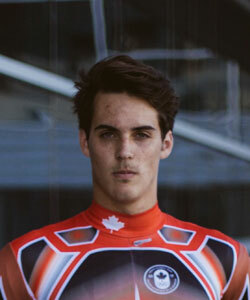 Best Result: February 2013- 3rd under 23 at World Championships, 24th overall. Whistler, BC. Share one valuable tool that you use on a daily basis that helps you to be the best athlete you can be: Visualization is one the most important weapons any athlete can have in their arsenal. Though almost all the athletes I know use it to some degree, effective visualization may be a key factor in having the performance of a lifetime. Picturing yourself executing a skill, imagining the perfect line, and seeing yourself succeed will not only put your mind at ease when the time comes, it may subconsciously trigger your body and mind to perform the way you’ve rehearsed it to. Who is one person in your life that has impacted your career and what was it that they taught you: My mother is likely the most influential person in terms of my development not only in sport, but life itself. She taught me that there is never one way to accomplish something and that thinking creatively can be your most useful advantage. 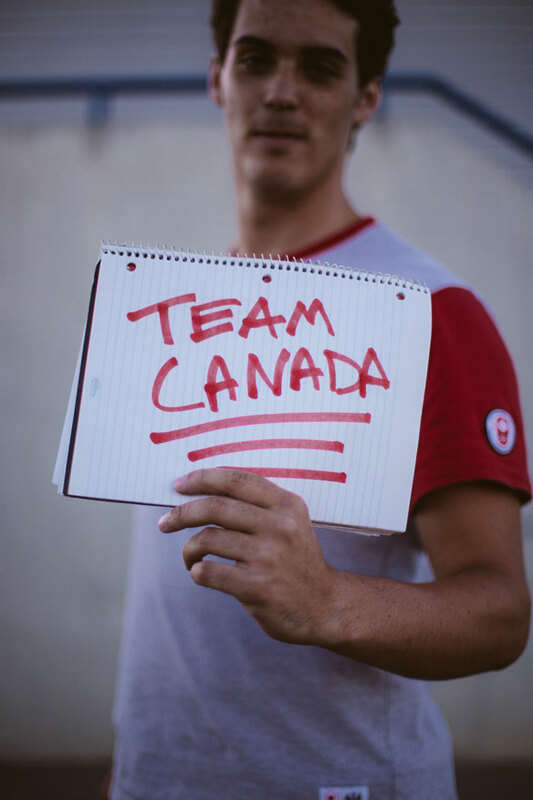 Have you read any articles or books or watched any videos or movies recently that really inspired you: Watching the Canadian Olympic team videos from London and Vancouver send tingles throughout my skin when I see them. Fun Facts: I have a fear of people touching my kneecaps. Wolves are my favorite animals.